Broadway, film and television veteran Lynnie Godfrey visited 69 News Saturday morning. She currently lives in the Lehigh Valley, but directs and performs in New York and around the country. 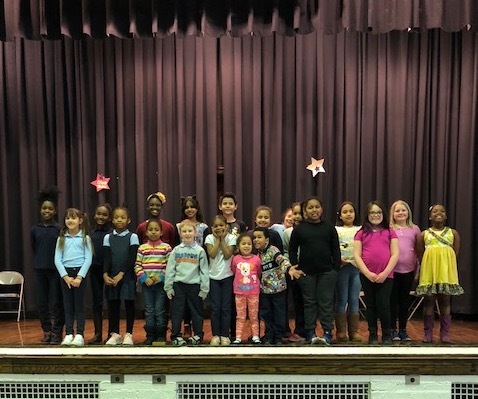 When she learned how little music education was available to students in Allentown, she decided to launch a children’s chorus – which is free of charge to the members and is funded, in part, through a grant from the Allentown School District. Auditions were held in February and students have been rehearsing since then. Children range in age from 6-12 years old and there will be 15 performing at the concert. 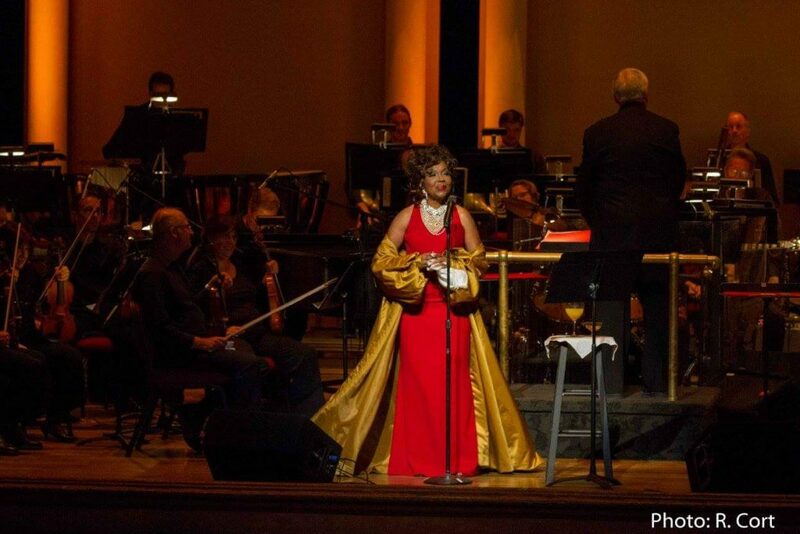 The first appearance is a fund raiser for one of her favorite venues:ALLENTOWN SYMPHONY HALL. The space is quite limited only 50 to 60 seats…The Symphony has built a million dollar plus LYRIC ROOM and have asked Ms. Godfrey to open it. What a privilege ! 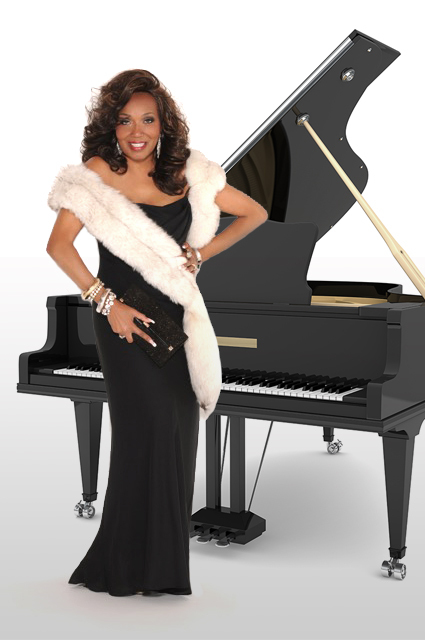 With this appearance Ms.Godfrey becomes the ONLY performer thus far to appear in the All performance spaces in the HALL…the Rodale Room for the Jazz Series, the Main Hall for the POP series and now to open the LYRIC ROOM. 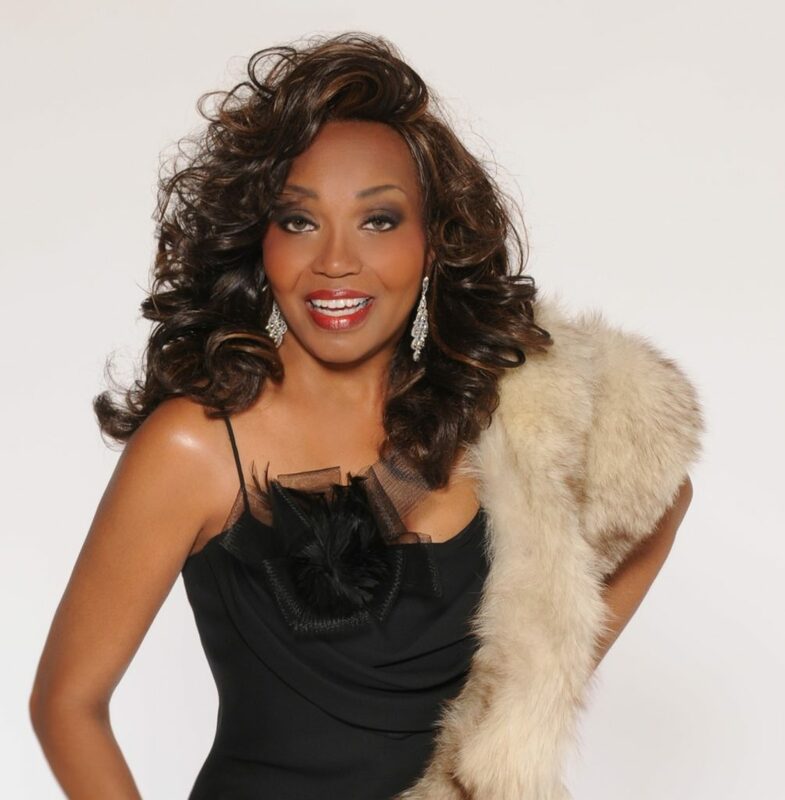 Her scheduled set will include her favorite standards and surprises for the audience by a special guest or even guests. ONE NIGHT ONLY AT THIS VENUE ! The second appearance:COME SPEND THE HOLIDAYS WITH LYNNIE GODFREY AND THE ACCC. This performance is shared with her beloved ALLENTOWN’S CHILDREN’S CHRISTMAS CHORUS and will feature a Christmas program ONLY. ONE NIGHT ONLY AT THIS VENUE !! !Purchase tickets ($5.00 -$20.00) at the door. 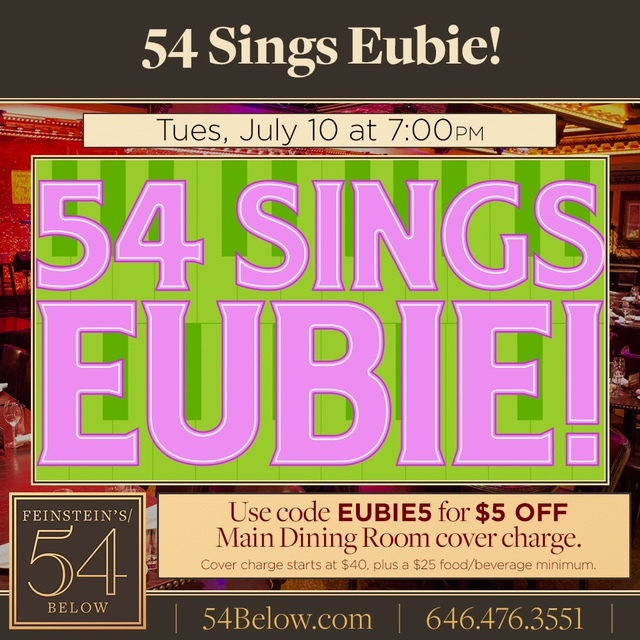 To commemorate its 40th anniversary, Feinstein’s/54 Below is bringing back, for one night only, the acclaimed Tony- nominated Broadway musical, Eubie! A a toe-tapping, musical celebration of one of Broadway’s most prolific pioneers, Eubie Blake, Eubie! is a celebration of the melodies, mayhem, and mischievousness of the early 20th century jazz world. Will I or Won’t I??? More importantly CAN l??? Well… Come and See…Come See the Talented Cast … Some of The Original Cast Members Plus Wonderful Talent of Today and Share the Songs and the Memories! 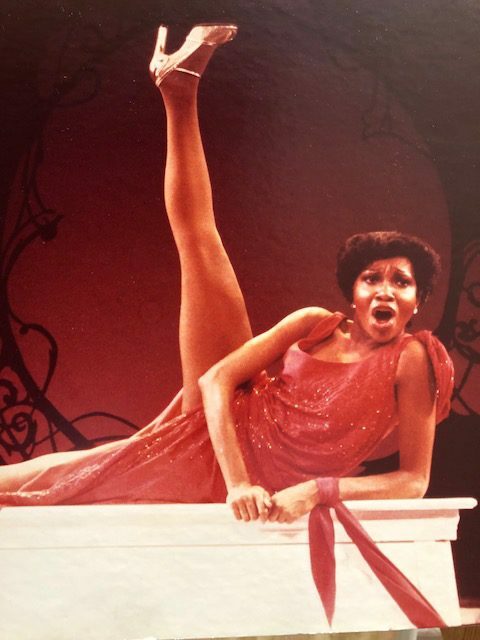 ALLENTOWN, PA — Lynnie Godfrey’s resume includes roles on Broadway, at the Kennedy Center, in television series and on film. Now, is ready to share what she’s learned with a group of Allentown children, who will perform with her in concert. The Lehigh Valley resident is holding auditions for a new “Children’s Chorus” on Saturday, February 24, 2018 from 1:00 p.m. – 4:30 p.m., at St. John’s Evangelical Lutheran Church, 37 S 5th Street in Allentown (www.stjohnsallentown.org). Children in grades kindergarten thru fifth grades are eligible to audition. They may sing any song they choose, either a cappella, or if they bring sheet music, an accompanist will be provided. Auditions and participation is free. Approximately 12-15 students will be selected and commit to two rehearsals a month, leading to a performance with Ms. Godfrey at her holiday concert at St. John’s in December, 2018. Last year, Godfrey, who has performed with the Allentown Symphony Orchestra, directed two new plays at ArtsQuest in Bethlehem. 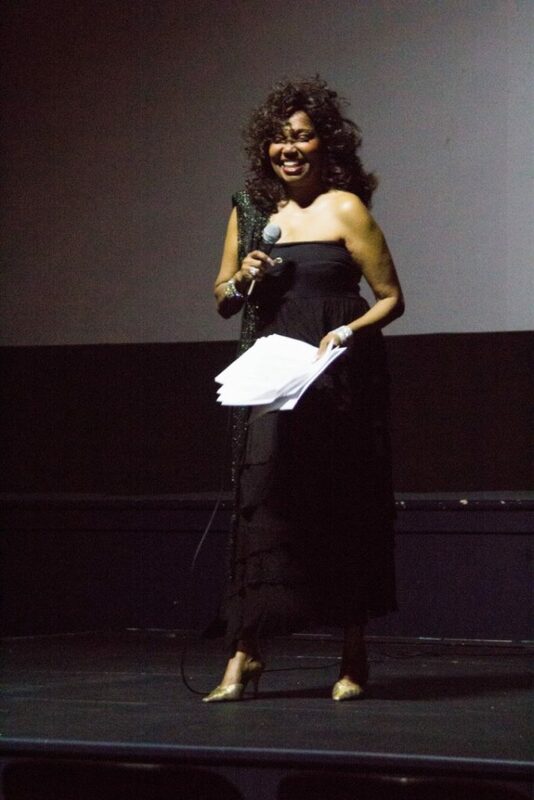 Her production company, Godlee Entertainment, includes “Essence of Acting,” an African-American acting troupe based in New York City that recently performed “Greenwood: An American Dream Destroyed,” about the 1921 race riot in Oklahoma. There is NO GOD like GOD and if you want to hear GOD laugh say that YOU have a plan. I guess you say what a funny way to start a piece of writing…but it applies. 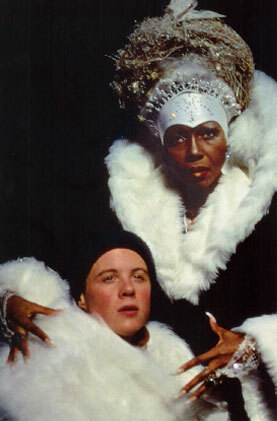 I should start by saying that around 1998 I was introduced to the role of the magical Hans Christian Anderson fairy queen: SNOW QUEEN and performed that role for several years and may reprise it in the future. As I referred to my calendar book of 2015 I see the date Thursday, January 22 at 1 PM as the first gathering of the team that would compose the performance event of LYYNIE GODFREY CARESSES THE STANDARDS. (Yes, that was the original title). The team: Ron Demkee, Ken Moyer, Donna Fritchney, Diane Wintry and myself…(Sheila Evans, the Executive Director couldn’t make it that day) gathered that day. There we sat around an nondiscript round table hashing out the beginning of what would be a year long journey to the January 23, 2016… Full Orchestra concert for Lynnie Godfrey. Our conversation was rapid and enthusiastic and many things were not touched on but we all knew it would be an event. Many changes occurred: the Executive Principles decided that the wording CARESSES was too provocative so after a bit of consultation I presented them with the alternative of EMBRACES. Quite frankly, the title will always be LYNNIE GODFREY CARESSES THE STANDARDS wherever else we go (and we’ve tested it and everyone else loved it!) because that is what we are doing on that stage!! 2016 was a banner year for me.. I started on the plans of the concert, I would come to direct 2 readings, travel to engage theatrical interest in the plays, rehearse for the concert and write a book.. It was like 1933 for Ethel Waters when she started singing “STORMY WEATHER” written by Harold Arlen and Ted Koehler under the musical direction of Duke Ellington at the famed Cotton Club and then was on star on Broadway in the Irving Berlin hit: “AS THOUSANDS CHEER” and to sing the two classics “ HEAT WAVE” and ‘SUPPERTIME” both written exclusively for her. During the summer I would become increasing concerned with the health of my last blood relative in my family nucleus…Jo-Ann. I would make efforts to transfer her from her sweet Randolph, NJ cottage-like apartment to the Lehigh Valley to monitor her health more carefully. You see Jo-Ann suffered from muscular dystrophy and had had it for 54 years and in the last 18 months it was progressing very quickly leaving her bed bound. October 4, I was invited to a cabaret performance of one of my lovely actors and colleagues: Alexander Foucard in New York. Jo-Ann had been sleeping a lot and reaching her on the phone was becoming increasingly difficult. I talked to her earlier in the day and then it became difficult to reach her (I liked to call her about 4 to 5 times a day). Just as I began to worry about her she answered the phone and told me to “You go on to New York, don’t send Carl over, I’m just sleeping today”. So I went riding with my friend Melba Tolliver to New York. We had a little supper with her friend Hans and then attended the performance. There must have been some difficulty with the mechanics because they started quite late. That meant I would get home late. As was my practice I always called Jo-Ann on my return…I thought it was too late and I would call in the morning not to wake her up. Strangely my phone rang at 12:50 from her but because it was in the back seat in my purse I missed the call. I immediately reached back and retrieved the phone and tried several times to call Jo-Ann back but her battery had died on BOTH phones…landline and mobile. I decided I would go first thing in the morning…take that 100 mile trip and fuss at my dear for letting the battery die and then stock her with food and make sure she was secure. My life was changed forever!!!! Well …It is Thursday, January 21..we have a great rehearsal but now on my phone I am receiving notices that businesses are cancelling their performances for the weekend Friday, Saturday and Sunday. Our year-long effort was in jeopardy… Now at 4:30 on Thursday, the Governor declared a state of emergency status for Pennsylvania. I was not aware of that…I was being told by Symphony we would be put in a hotel on Friday as planned and then walk across the street and perform. Then more weather reports: not just a storm but a winter north eastern blizzard to say the least… Well, then came the phone call about not a cancellation but a POSTPONEMENT until Saturday, August 27 @ 7:30. A good date for a performance…after Musikfest at Arts Quest which I love to attend and before the last breath of summer Labor Day…Not bad…not a bad date at all. Relief that everyone would be safe in their homes and the stress to try to make unsafe trips is off their minds and my mind. My audience and me …we are all safe…so it’s grand!!! Then, came floods of calls: Will you perform before that? Will you accept a New York date offered before?.… What about the scouts/representatives that were coming to book you elsewhere…won’t you miss that chance? Well…first, I believe one does not miss anything…if it is for you GOD will make a way. The representatives from other places will see me and the opportunities will come…faith…stepping out on a staircase that you don’t see… A date In New York…cannot do… contractually obligated to Symphony until after August 27 so NO!! !No New York gig right now. Now it the time to do more book signing to promote the book, travel to book the plays, cast and rehearse for the play reading of…. LOIS”S WEDDING by Bathsheba Monk, the reading due Monday, March 21, 2016 and then rehearse for the summer event of my YEAR… SATURDAY, AUGUST 27, 2016 @ 7:30…SEE YOU THIS SUMMER!!!! Once upon a time there was a place called Greenwood. Let it never be forgotten. This is the last line in Celeste Bedford Walker’s Greenwood: An American Dream Destroyed. When I heard those words in the first public reading of Walker’s play they left me wondering. Were the words a desperate plea? An ominous warning? Or both? They come at the close of the play’s final act, spoken by the photojournalist character. He is an outsider invited to document the glory of an unapoligetically all-black Oklahoma town. But the visitor ends up bearing witness to the town’s destruction in two days of race riots in 1921. For now, the place called Greenwood and the people—proud and prosperous —-who built it are not forgotten. Far from it. Both are being remembered—in fact and in fiction—in Bethlehem, in New York City , in Los Angeles—-and wherever folks have access to cable TV if a production now being developed pans out. First, to Walker’s Greenwood. An original work by the Houston-based playwright, it had its first public reading last month at SteelStacks in Bethlehem. The reading, directed by award-winning actress and Broadway veteran Lynnie Godfrey, played to an enthusiastic and engaged audience, most of whom had never heard of the Oklahoma town or the riots that ruined it . Walker spent years digging into the facts surrounding the town’s destruction by white terrorists. 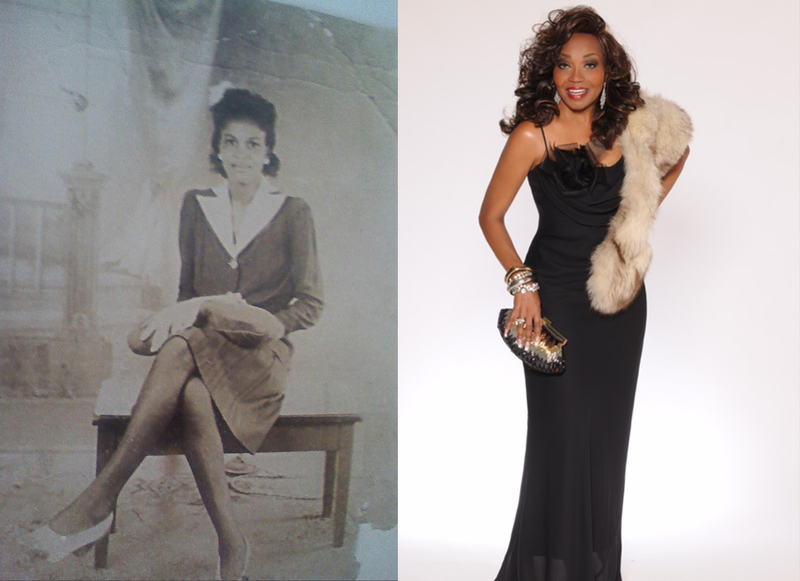 Writing and re-writing, incorporating history with the story of a Depression era community whose wealth and self-sufficiency had earned it the title “ black wall street” Walker finally felt the work was finished and let it go. 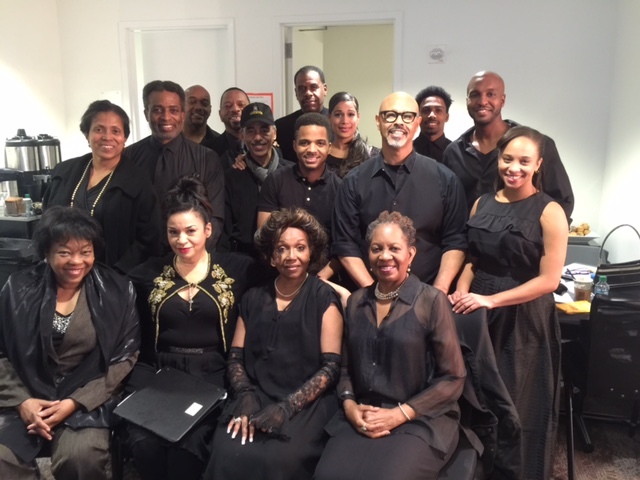 A regional theatre took over production of the piece, originally Black Wall Street. But as fate and the creative muse would have it, Walker wasn’t done yet. The regional production was an audience failure. As it happened, Lynnie Godfrey got wind of the play and the story moved her, she saw huge potential in Walker’s work. So Godfrey reached out to the playwright, shared her vision of how to re-work the play and together they began taking it to another level. In phone conversations and email and maybe with a bit of ESP thrown in, the author and the director took the play down to its bare bones and then re-built it scene by inspired scene. And so it is not the gunfire, not the dead bodies of 300 black residents, not the arson fires that wiped out businesses, hospitals, schools and left 9-thousand people homeless, and not the vicious rioters that keep Greenwood audiences riveted in their seats. Instead they watch generations of the fictional Boley family face and then deal with raw truth: social prominence and wealth may appear solid, but are in fact only tentative, always subject to forces beyond one’s control, forces fueled by envy and hatred. Molly Boley, played by Godfrey is the class conscious, steely gatekeeper of the family’s social status. A veteran of Broadway, Godfrey is superb in the role, peeling away what Molly uses to cover her vulnerable core as a wife and mother and the family member who is most devastated by the riots. In what turns out to be excruciatingly bad timing, Molly has invited a photojournalist to town expecting he will come away with a glowing report about Greenwood. Instead, the riots, sparked by accusations of a young black man making advances on a white woman, upend Molly’s attempts at self-promotion and give the photojournalist fodder for an entirely different story than the one Molly intended. The family’s rude awakening is shared by other characters whose lives intersect with the Boley’s. White’s Unentitled, like Walker’s Greenwood, explores the dynamics of financially well-off black families. What happens when unexpected events force hard choices on such families, threatens their status, and undermines the images they hold of themselves? Q&A sessions which Godfrey held immediately after both readings gave the director and the actors a chance to hear audience comments and field their questions. Most of the Greenwood audience admitted that their knowledge of American history didn’t include the Oklahoma riots or those that wrecked 58 similar black communities in the early 1900’s. One person even remarked that he found the wealth of Greenwood blacks, “unbelievable ” because he had no idea that wealthy black people existed. Godfrey’s collaborative approach saw both Bethlehem readings repeated at off- Broadway venues in New York City. And five actors from Unentitled were in the eleven member cast of Greenwood. Jalene Goodwin brought a youthful and winning playfulness to both readings as a daughter who takes for granted the material things her moneyed parents can give her, but rebels against their class-conscious rules. Brenda Thomas Denmark was a standout in both readings. Though the characters differed, Denmark was thoroughly believable , both as the stylish mother-in-law in Unentitled and the entrepreneurial Boley family matriarch who helped keep Greenwood money circulating within the community. The photojournalist was given a strong presence as played by Dathan B. Williams. Willing to see and report the picture Molly wants to paint of her beloved town, he cannot escape the racial undertow surging just below its surface. What’s next for Greenwood and Unentitled? The question pops up after every reading and Godfrey and crew have been ready with some possibilities: Workshop productions with sets and costumes. Maybe even Broadway if the readings result in the kind of word-of-mouth that attracts “angels” with investment dollars. Yet more evidence of Greenwood’s re-surfacing is Tulsa a 4-hour made-for-tv mini-series currently in development for the Oprah Winfrey Network (OWN) where money is apparently not a challenge. Based on the same 1921 race riot history that inspired playwright Walker’s Greenwood, Tulsa also reportedly plans to center its plot on a fictional family. In a call to a reporter for the Tulsa World who wrote one of the first stories about the OWN mini-series I learned that it is still in the works, though the cameras have yet to roll and it’s not certain when or where it will be shot. Almost daily, news headlines from Missouri, and Staten Island and elsewhere in America give weight to Walker’s closing line, “Let us not forget.” Are those words a passionate plea? Or a worn-out warning? And who among us is really listening? Meanwhile, Godfrey already has plans for her and ArtsQuest’s next project: a play reading in March of Lois’s Wedding by Bethlehem publisher and writer Bathsheba Monk.